Comments Off on Sublevel Zero released! 5 days ago, on October 8th, Sigtrap Games released Sublevel Zero, a First Person Roguelike/lite Shooter with Six Degrees of Freedom! And I have to tell you that I fell in love with this little gem immediately. It was inspired by Descent in many, many ways and it shows. So if you’re a Descent fan, you owe it to yourself, to check it out. It’s just $14.99 and you can grab it from Steam or GOG.com (DRM-free). And if you’re still undecided, you can watch the VOD of the release stream I did for GOG.com together with the lead developer Luke Thompson right here. 10 years of DXX-Rebirth! Happy Birthday, my child! Comments Off on 10 years of DXX-Rebirth! Happy Birthday, my child! 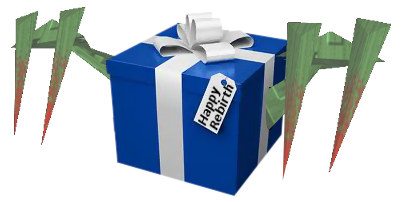 10 years ago, on Wednesday 28th of September 2005 the project website launched – along with the first downloads for DXX-Rebirth. Back then, I was only aiming to provide installers for previously released builds of D1X and D2X. It took me months to actually make changes to the sources – the work of Victor Rachels and Bradley Bell. After all, I knew nothing about coding. 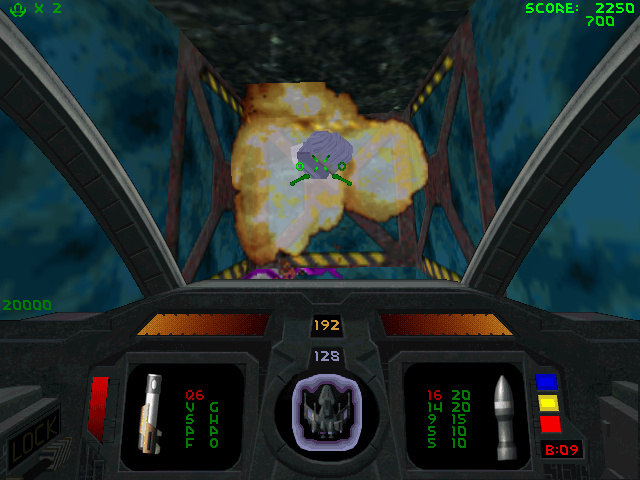 But I like learning new things and I had the best motivation to do so: I love Descent 1 & 2. This is what DXX-Rebirth became: An effort to keep two of my most beloved video games alive. I did all this mostly for myself but of course I put all my work online in case other fans would enjoy it, too. And while I never expected that this would happen, it did! Yes, this came to me as a surprise… and terrified me. The downloads numbers exceeded my expectations by far and I feared that my crude patchwork could not meet the expectations of the players. But I was surprised once more: This amazing community was – and still is – extremely supportive. People helped me out wherever they could, may it be by testing, giving constructive feedback and game me programming tips. Because of this, DXX-Rebirth quickly became a community project and many players helped to shape it into what it is today. But over time, challenges arose as well. I always tried to make DXX-Rebirth after my vision: A modernized port that should mainly still carry the feel of the original game and whatever new features were added should be optional. And while this sounds easy enough, everyone has a different opinion on how the games should feel. And that’s good. D2X-XL, the original D2X and the Rebirth-based Retro mod add more variety to the mix and by that, there is something for everyone. Not to forget that now you can also easily play the original MS-DOS versions via DOSBox! But what’s even more important – discussions about features and future developments, no matter how heated they may have been, have always proven to be a great source of new ideas and drove DXX-Rebirth forward. Tho I have to admit that 10 years of working on this project took its toll on me. I had my bad days and there were weeks in which I could not bring myself to even look at the code. Not to mention that work (i.e. the one that puts food on the table) left me with less time for the project – especially since I am self-employed since the beginning of 2013. However that does not mean the project is dead. On the contrary! Since the release of DXX-Rebirth version 0.58.1 the development continued – mostly by kp who spent countless hours improving the engine in more ways than I could have ever imagined. He merged both code bases, made them less error prone, added a plethora of optimizations and tore down old limits. This process is still ongoing and it’s hard to keep track for me. He did more in two years than I did in the remaining eight! While I would have been happy to present you with a new release today, we are not quite finished, yet. And I’m sure you understand that we would like to provide you with a version that we think is a considerate improvement over 0.58.1. But we’re almost there. A Future Pilot spent a lot of time testing (and providing you with the experimental Unification builds in the forums) in the past weeks and only a few open issues separate us from the 0.60 release. Soon as this is out of the door, the plan is to establish a regular release schedule with new versions of DXX-Rebirth being published every few (currently planned: 4 to 6) weeks. I hope you are as excited as I am. I will now go back to work on the few remaining issues so I can show you the new version as soon as possible. But before that, I would like to thank all of you – programmers, testers and players – for 10 years of DXX-Rebirth. You are awesome! Join the Birthday thread in the forums. D1X-Rebirth on the GOG.com livestream! Comments Off on D1X-Rebirth on the GOG.com livestream! Flaose – of the GOG.com Stream Team – played through levels 1 to 7 of Descent 1 using D1X-Rebirth. Check the full stream on his Flaose’s Youtube channel. And while you are at it, give that man a subscription!